In the following code-snippet, we demonstrate the calculation of the spike-triggered average (STA). 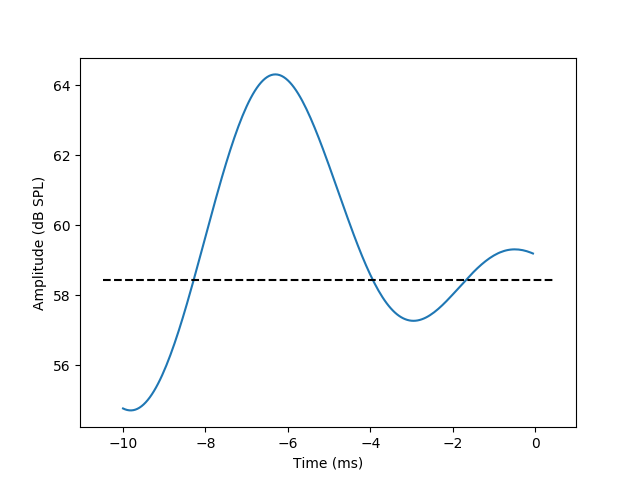 This is the average of the stimulus wave-form preceding the emission of a spike in the neuron and can be thought of as the stimulus ‘preferred’ by this neuron. Two data files are used in this example. The first contains the times of action potentials (‘spikes’), recorded intra-cellularly from primary auditory receptors in the grasshopper Locusta Migratoria. The first data file contains the stimulus that was played during the recording. Briefly, the stimulus played was a pure-tone in the cell’s preferred frequency amplitude modulated by Gaussian white-noise, up to a cut-off frequency (200 Hz in this case, for details on the experimental procedures and the stimulus see [Rokem2006]). 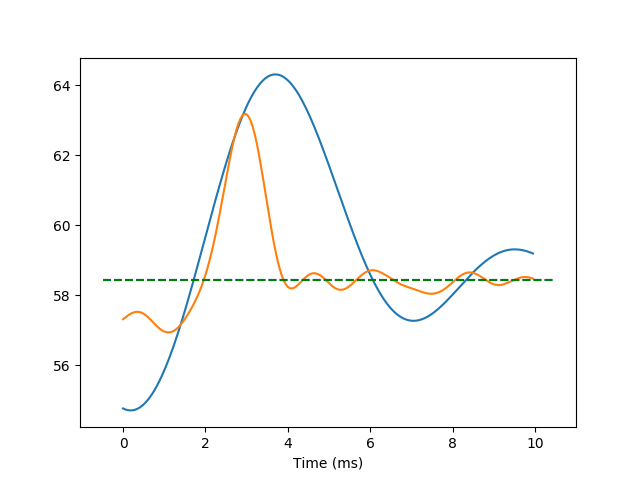 In the following example, a second channel has been added to both the stimulus and the spike-train time-series. This is the response of the same cell, to a different stimulus, in which the frequency modulation has a higher frequency cut-off (800 Hz). The data used in this example is also available on the CRCNS data sharing web-site.